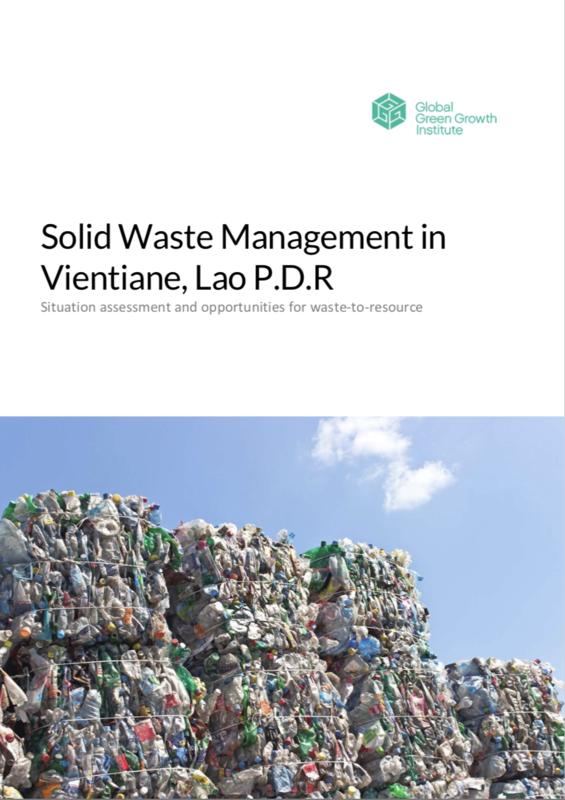 Solid waste management is one of the priority areas identified as part of GGGI’s green cities programme in Vientiane, the capital of Lao People’s Democratic Republic (Lao PDR). Current waste handling practices in Vientiane are based on a “collect and dispose” only approach that overlooks significant opportunities for turning waste into resources. There is thus the potential to adopt a paradigm change from a waste management to a resource management approach. There are no policies or regulations, either at the national or city level, in support of waste-to- resource approaches or the principles of Reduce, Reuse, Recycle (3R). The major policy barrier that could hinder the deployment of waste-to-resource approaches is the restriction of using compost produced from municipal solid waste in agricultural crops. While the Ministry of Agriculture and Forestry could lift this restriction in case compost is produced from source segregated waste, this should nonetheless be noted as a potential barrier to be addressed where composting is considered a waste treatment option to promote in Vientiane. Policies and regulations that could be considered to support waste-to-resource approaches include, inter alia, the formulation of a city-wide strategy for the management of solid waste, the introduction of “polluter pays” schemes (e.g. by imposing fines to entities or individuals that dump their waste or to major generators that do not adopt segregation practices), or extended producer responsibility practices to industries utilizing materials that can be reused and recycled. Community-driven waste banks with the organization of waste pickers cooperatives. The suggested ideas could be piloted in conjunction with the preparation of a solid waste management strategy for Vientiane. In case the experiences of piloting these resource recovery facilities are successful, replication and upscaling will be considered.